1960s: man in suit and necktie talks near satellite in workshop. diagram shows how the Smithsonian, Wisconsin, Goddard and Princeton satellite telescopes will view the spectrum from space. Dr. Harold Firth talks about caution and enthusiasm in fusion research at Princeton University. The Tokamak Fusion Test Reactor is shown at the Princeton University Plasma Physics Laboratory in New Jersey. Aerial view of famous Princeton University Castle, Trenton. USA. Aerial flyover empty pathway. Green foliage in Princeton, NJ. Shot with DJI PHANTOM 3 in DCI, native resolution. Summer foliage aerial Princeton, New Jersey. Shot with DJI PHANTOM 3 in DCI, native resolution. Reflection of fly fisherman in a lake. 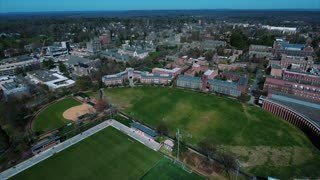 Princeton, New Jersey 1080p HD with natural sound. Fly fisherman. Wide shot in 1080p HD. Princeton, New Jersey. Young fly fisherman casts his fishing rod. 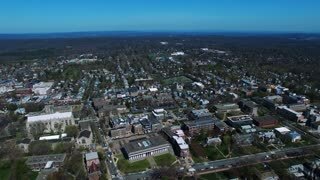 Princeton, New Jersey 1080p HD. The 'Holder Memorial Tower,' on the campus of Princeton University. Slow pan in 1080p HD. PRINCETON, NJ/USA - JUNE 20, 2014. Princeton University campus. Family walks into a courtyard. 1080p HD. PRINCETON, NJ/USA - JUNE 20, 2014. Tilt down of a sculpture located at Princeton University. Shot in 1080p HD. PRINCETON, NEW JERSEY/USA - MARCH, 2015. Tilt up of Princeton University Chapel. Shot in 1080p high definition. PRINCETON, NJ/USA - JUNE 20, 2014. Shuttle bus passes by arched building on Princeton University campus. Shot in 1080p HD. PRINCETON, NEW JERSEY/USA - MARCH, 2015. Time lapse 'P' logo on a brick building at Princeton University. 1080p HD. PRINCETON, NEW JERSEY/USA - MARCH, 2015. Static wide shot of Robertson Hall on Princeton University Campus. Shot in 1080p HD.nPRINCETON, NEW JERSEY/USA - MARCH, 2015. Tony Smith's 'Moses' sculpture in Princeton University yard. Shot in 1080p HD. PRINCETON, NEW JERSEY/USA - MARCH, 2015. Rack focus, the top of Fuld Hall, Princeton University campus located in Princeton, New Jersey. Shot in 1080p HD. PRINCETON, NJ/USA - JUNE 20, 2014.